Behaviour Bites - The Beginning! 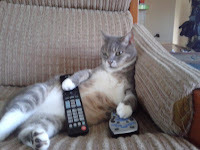 Pusski will be the face of "Behaviour Bites"
There is undoubtedly a huge problem with our pets with mental illness, as there is with us. And, as with us, there is a stigma associated with it too... after all, if your pet suffers from anxiety, and your best friends dog can cope with anything, you wonder what you did wrong? There is no stigma as far as many vets are concerned - ask your vet for help. In many cases of anxiety, the cause is genetic, not situational (because of a bad upbringing), and not your fault. And, as is the case with us, there is alot of trial and error in finding the right medication, fear of medications, risks of complications or adverse reactions to medications, and if that wasn't enough, what loving pet owner gets excited about giving their pet medication every day anyway. Or even admitting that their pet has a mental illness that needs medication? In July 2013, I, with just 20 animal lovers (mostly vets, some vet nurses, and a couple of dog trainers) attended a half day seminar in North Sydney , which focused on anxiety - from separation and grief to full blown noise phobia. And, whilst I learnt alot, what really struck me was that some practices had a high percentage of pets on anti-anxiety medications (and with the comment being made that many pet owners themselves are on medications, and thus, understood and accepted that their pet may need it aswell), and some practices (like mine), find pet owners who have had no personal experience with psychoactive medications, and are therefore really skeptical that they will work, (or another reason). I thought it was interesting that the use of these medications was possibly socioeconomic driven, rather than pet driven. And the more upmarket areas are more likely to be on Prozac than the poorer ones... is this valid? I don't know, as I am talking about an observation, using my own area. sounds like a rock concert to them. Do our pets actually need psychoactive medications, like Prozac? The answer is pretty easy - Yes, if they have a neurochemical imbalance as a result of, or contributing to their severe anxiety or phobia. If they behave in a manner which is harmful to themselves and others around them, then they definitely need medications. After all, would you deny your diabetic pet of insulin? or epileptic dog of anticonvulsants? your cat fight abscess or severe infection of antibiotics? Of course, you wouldn't deny your pet the veterinary care they needed... so why do many people deny their pet behaviour medications like Prozac? You and I need to think of psychoactive or behaviour modifying drugs as medications which are trying to normalise the chemicals within the brain, rather than our general perception that they are going to "dull the dog", and that is how it stops the undesirable behaviour. Well, welcome to the beginning of Behaviour Bites...If you haven't guessed already, it will be an interesting series. I look forward to sharing ideas with you all, as well as learning from you too. If you have a behaviour question, do not be frightened to make a consultation with me at Russell Vale Animal Clinic. Just call 02 42 845988 or you can book online (look to the left). 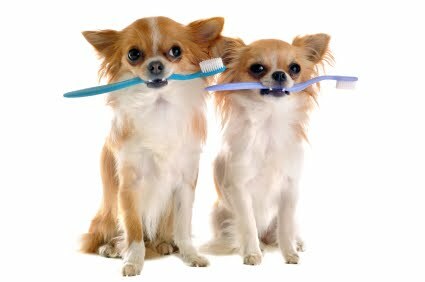 Welcome to another dental discussion, as we are heading into a very busy National Pet Dental Month. For those of you who may stumble on this post in the months/years to come, every August (as it has been for the last 10 years that I can remember, and will be forever more I hope), veterinarians all over Australia, give up their time for FREE to check your pet's mouth. So, if it is March that you are reading this, go to your smart phone's calendar and schedule it in now for next August. Then ring your local vet when that smart phone of yours beeps! ﻿﻿ Every vet I know love puppy checkups. I know I do. I love the puppy breath, the happy waggy tail, I love everything about that first vet check visit...,but every so often, there is a consult where my whole body shakes, and my shoulders slump, and I feel physically sick. This is the consult where I have to tell the puppy owner some bad news.
" Your baby is perfect, but...." I don't deliver bad news well, because I feel the pain of the news too, so acutely. So what bad news could I deliver about a puppy's mouth that would make me feel sick? They should be perfect, shouldn't they? I truly understand it from the owner's point of view - there is a mismatch to the pain I (the vet) know the pet must be feeling, to the pain the pet is telling the owner they are feeling (pets do not seem to tell us that there is pain in their mouths). It can be a confusing time, but remember, I will always be here to help you and your pet. 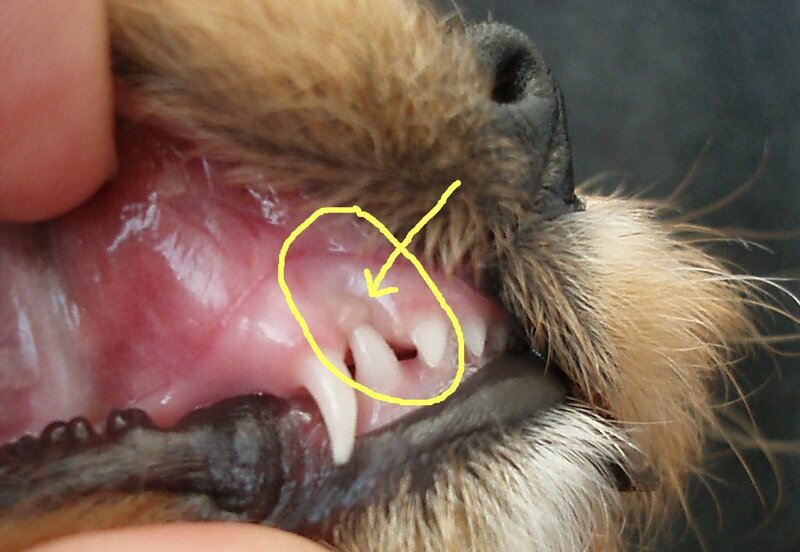 The most common fractured tooth I see are the canines - whether upper and lower, and unless the puppy is five and half months old, with the adult teeth about to erupt (and even almost then), those baby teeth need to be extracted carefully under general anaesthetic. 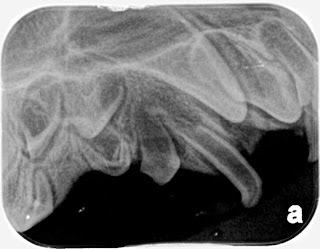 The fractured tooth allows bacteria a direct path to the tooth root, and you know the sort of things that puppies love to chew or eat (like their own poo). Do not muck around... extraction is required as soon as the fracture is found. Dealing with an enamel damaged tooth is not easy, so this is a case of prevention is better than cure. I hear what you are thinking right now - yeah, right, remove a tooth the pup is going to loose in time anyway! You must be joking! Well, I do like to joke and kid around, I do have a weird sense of humour, but pain and lifelong, permanent damage, and did I mention pain? is not something I make light of - the pup will lose the damaged tooth very soon (in a matter of weeks to months), but the reason for the extraction is to prevent damage to a tooth that we hope the dog will keep for 15 years or more. As for poorly erupted teeth - well I have seen it in two little shih tzu's where at 12 weeks of age, there were hardly any teeth (which in my view is not normal), but the breeder/owner was adamant that the teeth will come. As I have not seen these dogs as adults, I do not know whether they did eventually erupt. And there are the funky extra baby teeth - such as seeing 8 upper incisors - where the average dog has six upper and lower incisors -- xraying these mouths is essential, as there is no law that says that all of the extra teeth have to be in an area that we can see where they are... that is, there is nothing stopping the mouth having unerupted extra teeth, as well as the extra teeth we see. These usually end up with extra adult teeth too - makes these ones "extra-special". But the discussion that causes the most distress to the owner, and the multiple phone calls to the breeder, the breeder's vet, which then eventually leads to a confused, scared owner, is the tooth that hits the gum or the roof of the mouth. And the reason this causes the most stress, is that the best treatment is an immediate anaesthetic to extract the baby tooth, which is not risk free, coupled with strict observation of the mouth whilst the adult teeth are erupting. And in almost every case, intervention is going to be needed in the adult mouth also to make sure that the tooth sits where it is supposed to a swell. In other words, "your baby is perfect but..... they need an urgent procedure because there is pain in that mouth", and whilst we can do something now to fix the problem, it is probably a temporary thing, and further intervention is going to be needed at six to seven months of age too. The owner sees dollar signs, and the poor vet (me) sees ongoing pain in this mouth, which is fixable and manageable, but involves a committed owner. 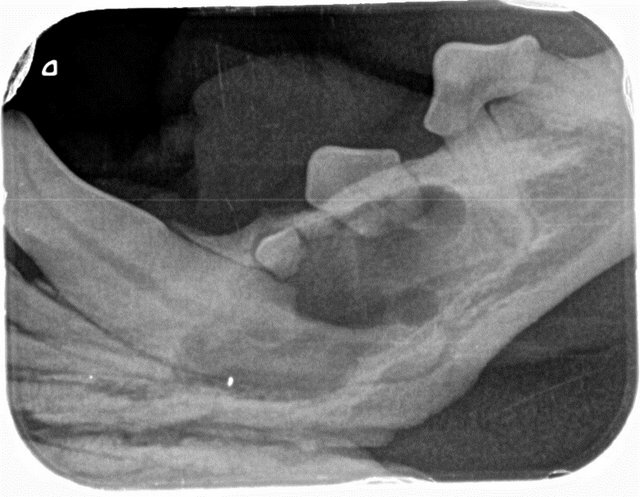 This condition is given the name "Base Narrow Canines"... and its proper name (until it gets changed) is Lingually Displaced Mandibular Canines... in other words - "the lower canine decides to head towards the roof of the mouth, punctures into it, instead of deciding to sit in the gap between the upper canine and upper incisor, and clearing the gum totally.". For me, I will stick with "Base Narrow Canines". This little puppy with the yellow circle was only 12 weeks old when I saw it. It already had its first vet check and vaccination, and was with me for her second vaccination. This puppy was beautiful, and patient with us in taking photos like this. With the mouth closed... ouch! I never saw this dog as a puppy. awake.... and this is because it hurts - they are "head shy". They eat well, and play with their toys - in fact they usually over - love their toys - because their mouths don't hurt when they eat or play - why? because the tooth tips do not hit the mouth when they are carrying a ball around, nor when they are crunching on food. But they are still in pain. Treatment needs to be done as soon as the problem is identified, for animal welfare issues alone. Pain and fear imprints on a puppy from 6 weeks to 14 weeks - this is why a well run puppy preschool is an absolute requirement for all puppies - but if there is pain in the mouth, this also imprints on the puppy - they become head shy, and, some, become overly aggressive - understandably so, because it hurts. The teeth that are hitting soft tissues need to be removed -it could involve just removing the lower canines, or it could be removing all lower and upper incisors, and lower canines. You may be lucky, and all that needs to be removed is a wee bit of gum that causes the "cupping" that locks the tooth in place. Either way, we do not know until the little one is under anaesthetic, and properly assessed. exercises and is pain free now. If this is the right thing to do to give the pet a pain free mouth, then it needs to be done. I can't change this truth just because no one wants to hear it. I often hear the argument for cutting the teeth, or waiting and seeing. Cutting the teeth is painful... the thought makes me feel sick - do you know someone who had a tooth fractured from trauma? I do, and it is extremely painful. Do our pets show dental pain? Most times they don't show it, but they do FEEL dental pain. They have the same nerve endings and have parts in the body that recognise pain - just because they don't show pain, doesn't mean they are not in pain.
. Be mindful of this fact when your awesome vet, wherever they may be, tells you that your pet needs some work - they want your pet to be painfree, like I do. But, on a happy note - Pet Dental Month is for puppies and kittens too, for all (and more) of the reasons above. So bring your puppy in, so I can get some puppy kisses! 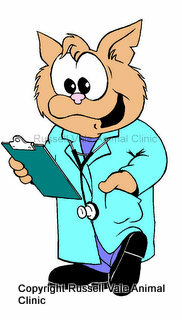 I am Dr Liz, and I am the mad vet from Russell Vale Animal Clinic. I am here to help you always, to keep your pet happy and healthy. Give me a call on 42845988 or you can book online. Welcome to another one of my musings. Whenever I think of my Utopia - my perfect world - it would be a world with more compassion and kindness. It wouldn't be a world where we are perfect, where we don't make mistakes, or where things do not go wrong. They are the human frailties which give our life a depth of meaning. This would then make those stories of children being brought up by wolves, or monkeys, or any thing else in the wild, logical. I believe that this is what we can learn from our own pets - most of them practice compassion and kindness to us every day. They are there, wagging their tails, or meowing for food, letting us know that we are important to them. That is kindness. When are feeling a bit down, and we sit on the back step with our head in our hands, our dog comes up, and puts their head under your arm, lifting it gently so by the end, you are giving them a hug. That is compassion. My father always used to say .... when you say something bad about someone else, it reflects more on you than it does on the other person. The same would apply when you say something nice. Our animals are great teachers on compassion and kindness, and we should follow their lead. I try to every day. I am Dr Liz... thank you for any kindness and compassion that you have shown your fellow "living creature" today. Dental Intervention - when is the right time? called a toothbrush?" says Dr Doc. Do you watch the Intervention shows on TV? To be honest, I don't, but I get the gist of what they do. These family members see that there is a problem, and "intervene" to help. Understandably, it is confronting for all parties. But we are talking about dental disease in our pets - the most common single disease that is under treated. I am not sure about Australian stats, but US stats are pretty clear - and pretty consistent - 85% of cats and 70% of dogs older than 3 years of age have dental disease which needs to be treated. Yet only a tiny percentage of our pets get the treatment they deserve. And as a side note, interestingly enough, the dental disease seen in cats starts at a much younger age. Before you get to flip your pet's lip, I want you to think about what level of dental disease is it considered the right point to intervene? That is, once you look in your pet's mouth, what would be the level of disease that would get you to pick the phone up and call your vet and book your pet in. Before you give me the answer, you need to know what grades of disease there are? I agree with you... the later stages are pretty horrible. The later stages of 3 and 4, the pet goes home after a dental procedure with many teeth in a plastic bag... seriously. That is horrible, and whilst it isn't totally preventable, the speed at which this type of disease develops can be slowed down. It is at this point, I want you look at these pictures, and think about what stage of disease we should intervene, if these were photos of a pet in front of you. Is it at Stage 3 disease, where there is some bone loss, and bad breath, and the damage is irreversible, but manageable? Is it at Stage 2? Is this the point where your pet should have the professional cleaning at the veterinary hospital? 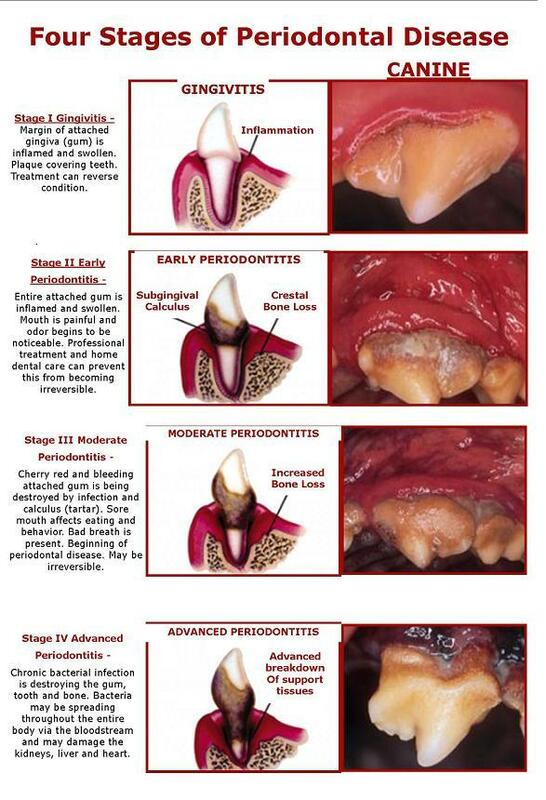 Stage 2 disease in as little as 3 months, if there is no active home dental care? The right stage of intervention is, and this should be no surprise to you, is Stage 1 - the earliest stage, where any treatment done, on a regular basis, is able to reverse existing dental disease. Now, look into your own pet's mouth, and be honest with yourself. What do you think it looks like? And then what are you going to do about it. Free pet dental checks are available all year round at Russell Vale Animal Clinic, so call us now on 42845988 or book online. Call us now, as we would love to see you all. Welcome to another "musings" of Dr Liz. If this is your first one, why not go back and read some of my earlier ones! I am grateful for.... Each day we should all take a few minutes of each day to write down or recite to ourselves five things (you should really do twenty, but five always makes me feel good, so I stop there) that you are grateful for. the beautiful sun that warms me by day, and the moon that lights the night path. the health of my beautiful children. If you could ask your pet, what would you think they would be grateful for? up for myself when I went out to write - there was going to be no mention of money, as I hate that the care a pet may receive get delegated to money. But let's be honest - money is what makes the world go around, and who doesn't want to save money. So, how can you save yourself $2500 plus? and stop your pet from suffering the pain which they hide from us? Another way of asking the same question from your perspective.... How does spending money each year having my pet's teeth professionally assessed and disease treated save me money? 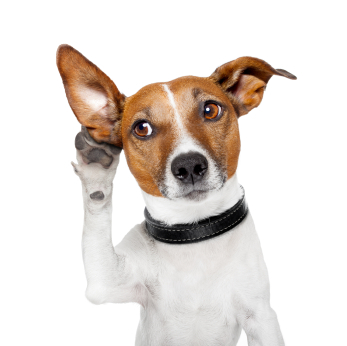 I am going to ask two very very special pets who are part of the animalclinic family at Russell Vale Animal Clinic, to tell their story, and hopefully, answer your question. 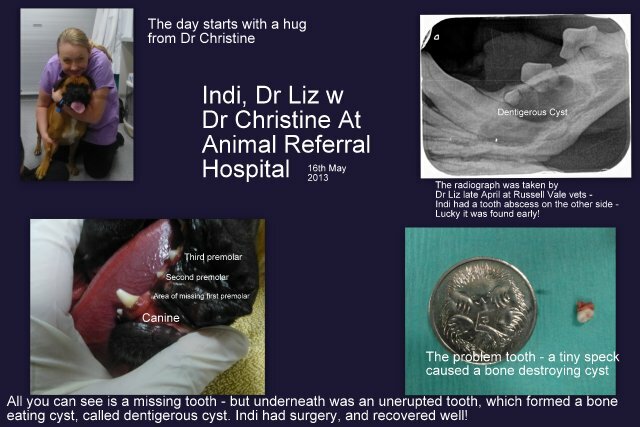 A summary of my day with Dr Liz my vet and Dr Christine from Sydney Pet Dentistry! Hi, I'm Indi, and I am a very lovable, absolutely adorable Boxer dog. Even though I am two years old, I still act like a five month old... I love to play, jump, and race around the place. When I first got the swelling on the right side of my face, that is what everyone thought I had done - run into something. Fair enough. It did settle down on the medication Dr Liz gave me... I didn't skip a beat - I was still normal, but my face looked a bit funny for a few days. Three months later, though that swelling on the right side of my face came back. So, I had to have some awesome drugs, go to nigh nigh's, so Dr Liz could do her magic stuff. The xrays showed a dental abscess on the right upper side of my mouth which Dr Liz went on to fix. But.... during the dental charting process, Dr Liz found that there were gaps in my mouth where there should've been teeth. So, she xrayed those areas.... and she found something which she had not expected... it was her first... she told me when I awoke how excited she was at finding her first dentigerous cyst, and how sad she was that she had found this cyst in me. A big cyst in my (Indi) lower jaw! xrays showed a different story. Underneath the bone and gum, was a bone eating cyst, which was caused by an unerupted first premolar. It was the size of the beak on a 5 c piece, but it caused the loss of three teeth. I was very very lucky it was found as early as it was, as many times, the first sign that there is a problem is when the jaw breaks after it is so weakened by the cyst, it can't stay together. Finding it early saved me alot of pain. But the size of the cyst meant it needed to be removed by a veterinary dentist, so off I choofed to see Dr Hawke from Sydney Pet Dentistry. So how could my owners have saved more money? If they only knew that special dogs like me should have their mouth xrayed from a young age, and especially if there are missing teeth. Well, if I had my mouth fully radiographed at six months of age then the missing tooth would have been seen and removed. 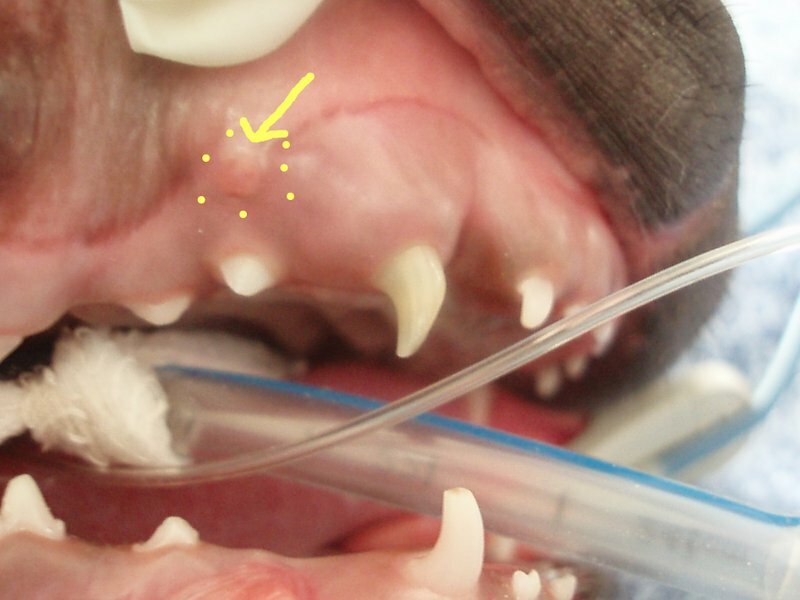 Dr Liz says that is a procedure she has done many times, and it is easier than removing a retained baby canine. Finding it when it was found though, when I was two, still saved alot of money, in that the cost of repair of a much larger cyst with a jaw fracture is multiple of thousands of dollars, not forgetting the pain that I would've been in during that time. So, when Dr Liz (or any good vet) says your pet has missing teeth, and needs Xrays to make sure they are missing, take heed! She is saying that to save you money! Good Evening. My name is Miss Hannah, and I am a Pomeranian, and a Lady. As a Lady, I shall not disclose my age, other than to say that I do remember the 00's fondly, as this was a time of my youth. Dr Liz has been my vet through all of this, and it is through her hard work, that I still have 30 of my 42 teeth, when others of my breed and kind are lucky to have 5. Of course, my mum or my dad brush my teeth every day - they have set up a roster - because Dr Liz told them that it was important to brush from when I was young. When I was on the Pom Forum a few weeks ago, one of my pom brethren (I shall call them Sim) was complaining that they had to get most of their teeth removed (that wasn't the problem as they were now pain free and much happier ), but that their owner was whinging about how much it cost them. So, I sat down I added up what my dad has paid over the past few years, and created an equation to relate it to the number of teeth that were left. And I compared this to what Sim's mum paid, and found that my dad had saved himself alot of money, and in the process, saved my teeth. Just be doing a little bit of work each year. He followed all (mostly) of Dr Liz's instructions And kept me healthy in the process. How lucky am I. It's Dr Liz back now.... I have to thank Miss Hannah and Indi for giving us their side of the story. As a vet, I am proud of my loving pet owners who choof their pets off to the vets twice a year for their free dental checks.... and the right age to start dental checks is as early as 8 weeks (to get the advise on how to brush and keep teeth healthy). August is National Pet Dental Month, where vets all over Australia are offering time out of their day to look in your pet's mouth. The least you can do is take advantage of it, especially if your pet has not been to the vet in the past twelve months. As for all of us at Russell Vale Animal Clinic, every day is pet dental month, as we offer Free dental checks to all pets (new and old ) - and the biggest complaint we get - is that we give too much information - so if you are up to it, bring your pet in to us! Yours for happy healthy pets (and teeth) - always! this time is about sleep drugs. something which I absolutely understand as a human being and pet owner myself. And that is fear. And when we are talking about any procedure in our pets... well you guessed it - we are talking about the fear of the anaesthetic. I envy the human dentists, as they are able to do alot of their dental assessments and work with you sitting in their dental chair, and saying "Ah". And you are right there in their chair, whilst they tell you all of the things that need to be done in your mouth to make it healthy. Let me make it clear - anaesthetics scare me, and I have personally had a bad anaesthetic experience during the birth of my fourth child, Paige. I had a failed epidural, and I had the anesthetist from hell. She underestimated my anaesthetic drugs and I felt the early stages of my anaesthetic. When I awoke, I was in more pain from what she had done, and not from the caesarian surgery I had to undergo. But as a vet, I take this experience as a lesson, and I ensure I take all steps necessary to ensure my pets have a smooth, safe, pain-free anaesthetic, and recover well to go home with big smiles on their faces. And that is where your fear of anaesthetics should end --- it should end with me. I would never suggest or recommend an anaesthetic for any patient that I didn't think wouldn't cope with it. of bells and whistles to keep your pet safe. anaesthetic for your pet. We stock a range of anaesthetic medications so we can tailor the right anaesthetic combination for each individual pet. And then there is the monitoring of the procedure, from the point your pet is sedated, to the point where they are sitting up, saying hallo after the anaesthetic, hugging their teddy bear surrounded by a warm blanket. We have a multiparameter monitor, our Surgivet Advisor, which monitors oxygenation, Heart Rate, respiratory rate, breathing depth and pattern (capnograph), ECG and temperature (via our oesophageal ECG), Blood pressure and end tidal C02 (the level of carbon dioxide). We have had this unit since 2006, and it is used daily. It is our early warning system, but we never forget the human element. Anaesthetic monitoring means a human element. We use our equipment to help our anesthetic nurse, Dirk, to do his job to a high standard, rather than replace him. and a vet watching it all. But herein lies the problem - your pet has a problem in their mouth that needs fixing (existing dental disease) ... or they have a problem in their mouth that needs a touch up that will slow the progression of dental disease, what do you do? You know it involves an anaesthetic. And this is what you are scared of. I never ignore fear, as it serves a purpose. But I balance that fear with what we are hoping to achieve by facing it. And in your pet, an anaesthetic is needed to either fix existing severe dental disease (for example, if there is a bad smell from your pets mouth), or to slow the progression of disease (early stages). Please do not let the fear of the anaesthetic stop you doing what needs to be done in your pet's mouth to keep them pain free. And never be frightened to speak with us about your concerns... we won't talk you into anything (it's not our style), but we will support you in making the right decision for your pet's sake. Anaesthetics are scary, but geez, we are so lucky that we have access to many safe medications. Don't let your fear stop you from letting us help your loving pet. They always deserve the best. I am Dr Liz, and I (and Dirk) are here to help you.